If you’re looking for a place special to celebrate Mother’s Day, there are various restaurants in Ocala hosting Mother’s Day brunches where you can treat the woman who does it all! Bring your mom to any of these Ocala restaurants and spend some quality time together while enjoying delicious brunch foods. Craft Cuisine in Ocala is a contemporary restaurant where chefs are inspired by food from all around the globe. This Mother’s Day, they are hosting a special brunch from 11 a.m. and to 3:30 p.m. on May 13. There will be food like Oscar-style grouper topped with hollandaise sauce and pan-seared chicken breast stuffed with roasted red peppers and goat cheese drizzled with a balsamic glaze. For those who arrive right at 11 a.m. and are still looking for breakfast, Craft Cuisine will also offer an omelette station and a Belgian waffle station. For dessert, enjoy cakes and assorted pastries. The buffet is $40 per person, and be sure to make a reservation now as this place usually fills up quick on Mother's Day! Join the community in celebrating Mother's Day at Silver Spring Park for their brunch on May 10 at 10 a.m. This outdoor brunch is perfect for those moms who love nature and everything it has to offer! The park will have a large buffet of both breakfast and lunch dishes for your family to enjoy. Tickets are $35 for each adult and $15 for children 12 and under. If you’re looking to get wild with Mom on her day, you can get bottomless champagne for only $10. Call to make reservations as they will have a set number of tables in the park. If you’re looking to take Mom to brunch, make reservations at the Hilton in Ocala because they are known for their wonderful Mother’s Day brunch. The brunch begins at 11 a.m. and goes until 4 p.m. with a wide range of food and drinks. The menu includes a soup and salad bar, a seafood station, hot entrees, a carving station, a breakfast bar, a children’s buffet, and a dessert station. Ther e will also be some favorites from last year including pork tenderloin with braised onions, chicken francaise with lemon, steak forester, and roasted salmon with Asian plum. Tickets are $50 for adults, $45 for seniors, and $20 for children while those five and under are free. The Braised Onion is known for putting their own spin on comfort food. What better way to feed your mom on her special day than with comfort food that she doesn’t have to make? Their brunch will be held on Sunday May 13 from 11:30 a.m. until 5 p.m. Their menu will include a carving station, a dessert table, a salad bar, and various items from their brunch, lunch, and dinner menus. Buffet prices range from $35 to $40 for adults and $15 for children. If you’re looking for a more casual spot to take Mom this Mother’s Day, check out Mimi’s Cafe. They will be serving brunch all day on May 13 from when they open at 7 a.m. to close at 9 p.m. with a special three-course brunch menu made just for Mom! For the first course, you can choose from a house salad, a caesar salad, or a bowl of their soup of the day. For an entree, they’re offering an Asian chicken salad, a shrimp and pasta dish, and a collection of favorites. Then for dessert, there will be a pastry table with several sweet treats to choose from. Be sure to call and make reservations because Mimi's Cafe will be busy on Mother's Day morning! 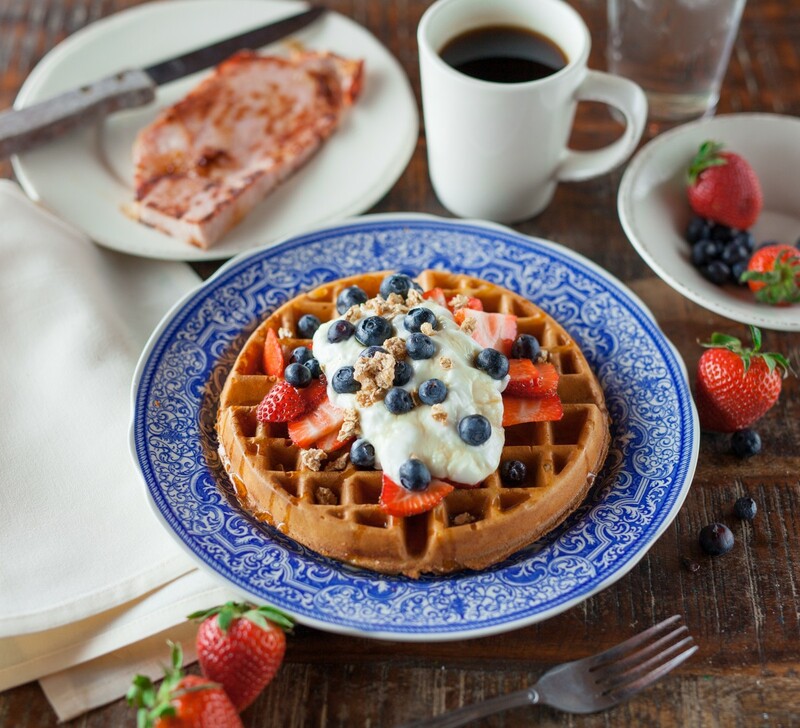 If you’re looking to make Mom happy this Mother’s Day, stop by any of these places for a wonderful brunch! For more Mother's Day events and restaurants in Ocala, register on 352area, your free guide to everything in Northern Central Florida.